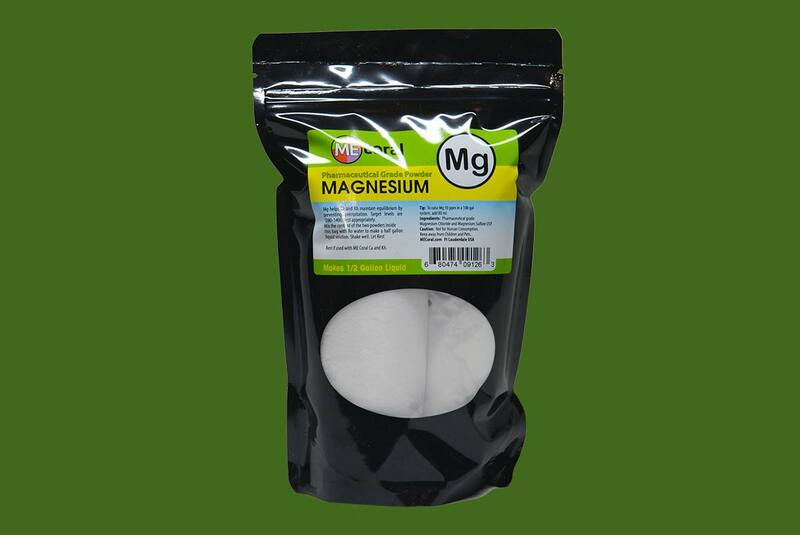 MECoral Magnesium (Mg) powder is pre-measured to make a half gallon (1.9L) liquid solution when mixed with RODI water. 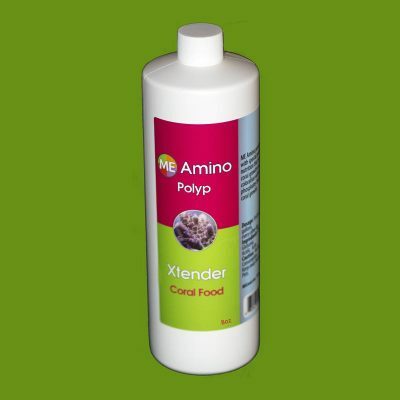 MECoral Mg is ammonia, phosphate, nitrate and bromide free. We use a unique blend of pharmaceutical grade Magnesium Chloride, and Magnesium Sulfate powder. 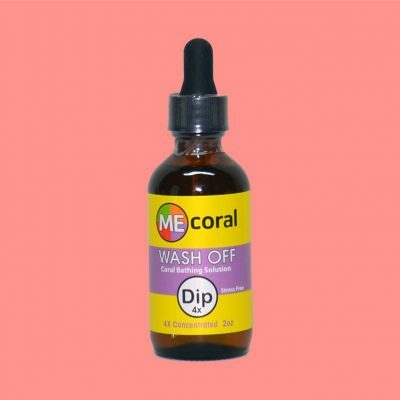 MECoral powder dissolves quickly and crystal clear with no residue or impurities on the bottom. Mixing instructions: In a jug, add a quart or so of Rodi water, then add the Mg Chloride(larger bag). Shake well. Now add the Mg Sulfate(smaller bag). Shake well. Gets slightly warm while shaking. Add more water to make a half gallon (1.9L) of liquid solution. Let rest with cap open before use. Do not pour the powder in the jug before the water as this may produce clumping. If clumping occurs heat the outside of the jug with hot water . This will help dissolve the powder. 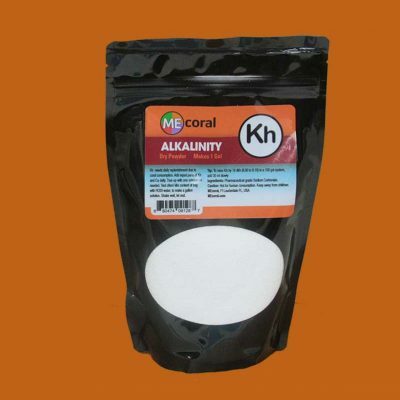 MECoral Mg should be crystal clear and at room temperature before using.